In the near future, Lawson Hill residents may have more retail options just a short walk or bike ride away, rather than getting in the car for a trip to Telluride. Kathy Green, owner of the four lots that comprise the Society Turn Business Center (STBC), met with Telluride Town Council in a work session Tuesday to propose additional uses in the hub in Lawson Hill that currently includes Telluride Brewing Company, Aemono Catering, China Rose Florist, The Laundromat, Telluride Eco-Cleaners, Cindybread, and a host of other light industrial and office spaces. What council was charged with considering is making an amendment to the 1991 document that outlined the agreement between the Town and Lawson Hill for water and sewer services. 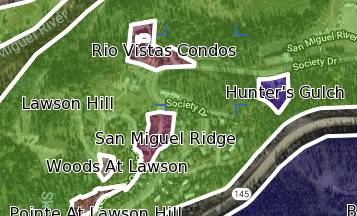 The Pre-Annexation, Utility Connection and Hydropower Lease Agreement for the Lawson Hill Project (utility agreement), as that document is called, if amended, would then be part of San Miguel County’s review through its County Planning Commission (CPC) and then the Board of County Commissioners.